There will be NO DAY TIME BURNING BETWEEN 7am to 7pm. PLEASE WATCH WHAT AND WHERE YOU DUMP YOUR ASHES DURING THIS SEASON!!! Also FIRE BANS may be applied by fire departments anytime based on weather conditions. 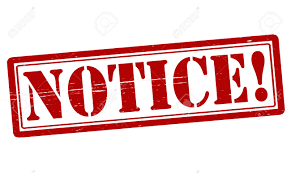 Please refer to fire meter signs in your township. 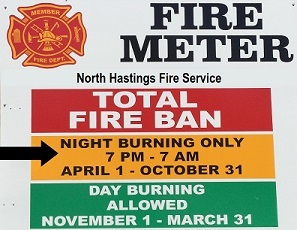 As of April 1, to October 31, you are required to have a buring permit if you are planning on doing any day burning. These can be picked up at 33 Chemaushgon Road (Bancroft Hall) or at your Municipal Office.